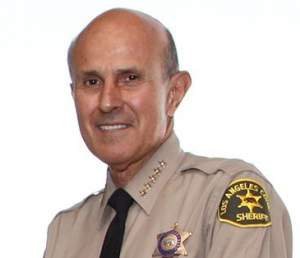 Reporting to the Los Angeles County Board of Supervisors about steps his department has taken to mitigate violence in the jails, Baca went on the offense. Much of the discussion focused on the installation of hundreds of cameras in the Men’s Central Jail, Twin Towers and an inmate reception center, a move recommended by special counsel Merrick Bobb and the Office of Independent Review at least a year ago. Supervisor Gloria Molina expressed frustration that video systems weren’t fully operational, while department officials said progress was hampered by old wiring and water damage that set the project back two to three months. The department has also been testing small video cameras that could be worn by deputies, but the technology is still in the development phase and there have been problems in retrieving recordings from the prototypes, according to sheriff’s Cmdr. Paul Pietrantoni. Baca has rotated new management into the jails, changed department policies about the use of force and how force incidents are investigated, and is considering a two-track career path for deputies to improve jail conditions. But fallout from past incidents is costing taxpayers money. “I’m going into closed session to approve two big huge use-of-force settlements,” Molina said. The supervisors are waiting for a full set of recommendations from the Citizens’ Commission — due out Sept. 28 or Oct. 5, according to a commission spokeswoman — and Molina recently told The Los Angeles Times she would demand Baca’s resignation if he failed to embrace the group’s advice. She also told the newspaper that she believes Baca must get rid of Tanaka. But that seems unlikely based on comments from a spokesman on Tuesday. But Whitmore later said Baca has “no plans of making personnel changes whatsoever,” other than routine shifts, though he does have other plans. “The system of managing prisoners needs a lot of overhaul and innovation, and this county will lead the state and will lead the nation in having a model system,” Baca said.